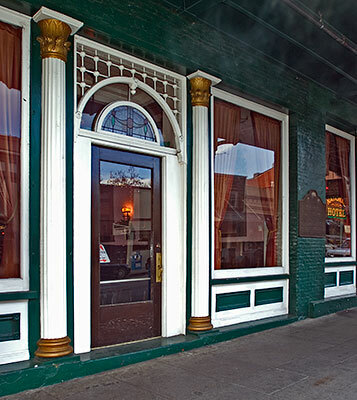 This hotel, one of the oldest in continuous operation west of the Rockies, opened for business in August, 1856. Originally known as the "Bicknell Block," the structure consists of three common-walled buildings of simple brick construction embellished with Classic Revival and wrought iron railing ornamentation. 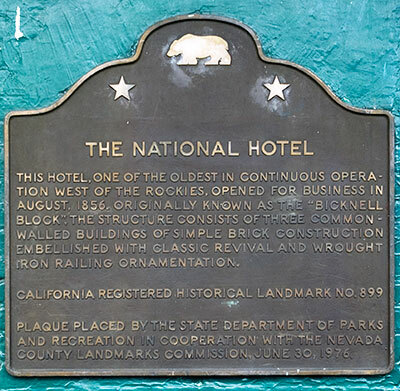 Plaque placed by the State Department of Parks and Recreation in cooperation with the Nevada County Landmarks Commission, June 30, 1976.